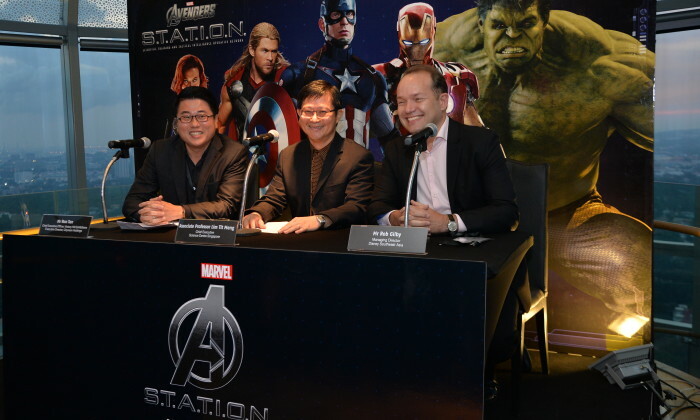 The world’s favourite superheroes will assemble at the Science Centre Singapore (SCS) this October as part of the Marvel Avengers S.T.A.T.I.O.N. exhibition. Marvel Avengers S.T.A.T.I.O.N. (Scientific Training And Tactical Intelligence Operative Network), is presented by Victory Hill Exhibitions (part of Star Media Group), SCS and The Walt Disney Company Southeast Asia. The immersive travelling attraction has made its way from New York, Seoul and Paris, and will take visitors in Singapore on an action filled journey into the Marvel Cinematic Universe. It features Marvel characters such as Captain America, Thor, Hulk, Black Widow, Iron Man and Ant-Man. The entertaining and educational exhibition has been curated around S.T.E.M. (Science, Technology, Engineering, and Mathematics) in partnership with NASA, the Science & Entertainment Exchange (a program of the National Academy of Sciences), Neuroverse, JPL and Gamedesk. “The purpose of this announcement is also to invite potential partners from marketing and media, exhibitions, technology, finance, transport and logistics industries who can work with the Science Centre to drive the experience and bridge a connect between what is fiction and soon to be science reality, ” he added. Mannings takes the lead with its iconic cat mascot, an ad that played on the trials and tribulations of growing up in Hong Kong to.. This infographic gives you a brief look into overall mobile usage in Hong Kong. ..